It’s one of my least favorite times of year: tax time. I don’t know anyone who likes seeing how much of their hard-earned money has been claimed by the U.S. government that year. That’s why many of us work so hard to reduce our tax bill as much as we can. Contributing to a retirement account, like an IRA or 401(k), is a popular way to reduce taxable income while saving for retirement. It’s a win-win, really. But do you know what’s not? Forgetting to name or update a beneficiary on your retirement accounts. In the best-case scenario, your funds will make it to your intended inheritor(s), but they will be short a larger-than-necessary tax distribution. Do you really know where your retirement savings are going? If you don’t, it’s time to check. 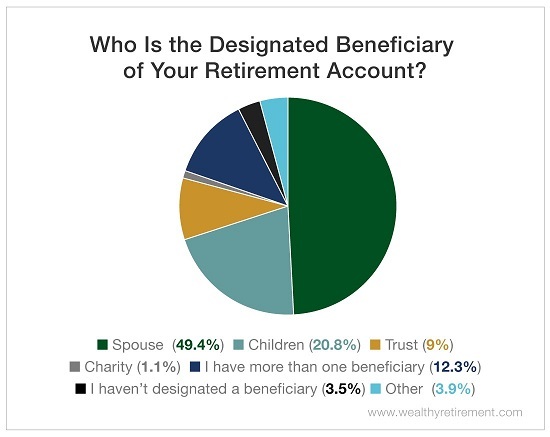 In a recent Wealthy Retirement survey, nearly half of our respondents said they’ve designated their spouse as the sole beneficiary of their retirement accounts. Nearly 21% have designated their children as beneficiaries, and more than 12% said they’ve named multiple beneficiaries to their retirement accounts. Only 3.5% of respondents said they haven’t designated a beneficiary. While that number is low, that’s still 3.5% too many. If you die without a designated beneficiary, most account agreements will point the money to your estate. Your assets then become subject to probate. If you have a valid will, the probate court will typically follow its instructions on who gets what. If you don’t have a will, your retirement account funds will be distributed according to your state’s intestacy laws. Some states will give all your money to your surviving spouse, while others may split it up between your spouse and descendants. The process is a pain in the you-know-what, and it results in increased expenses, processing time and taxes for your spouse and children. If you name a beneficiary, your account will be transferred to them just a few days after a death certificate is obtained. The transfer costs very little. But if your retirement account has to go through probate, it can take months (or more) to transfer the assets. Your spouse and descendants could be stuck paying substantial court and attorney fees. In addition, if your retirement account goes through your estate, your beneficiaries may need to distribute all of the funds and pay taxes on them within five years. But if you designate your beneficiary beforehand, they will have more options. They’ll still need to take out a required minimum distribution and pay taxes on it based on their life expectancy, but they can leave most of the money in the account. It’ll continue to grow tax-free. That’s why you need to name beneficiaries on your retirement accounts, even if you have a will. 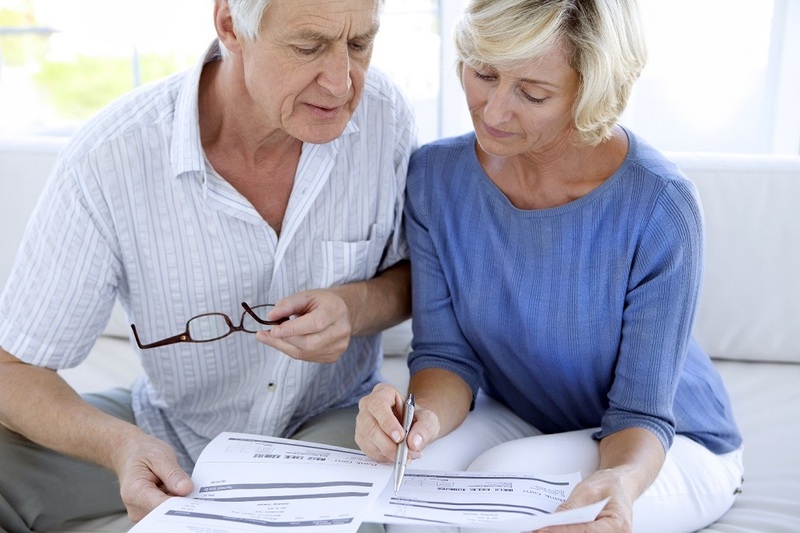 It’s a good idea to review your beneficiary selections every year. Considering that we all spend this time of year readying our financials for that April 15 deadline, now is a good time to do it. Check your beneficiary designations today. It’ll probably be the fastest estate planning you do all year.